The CA7 smokers ashtray is a stainless steel ???mirror??? finished floor ashtray, this ashtray includes an internal flap to conceal cigarette butts and assist in containing the butts in windy areas. The CA7 Smokers Ashtray is a stainless steel ‘mirror’ finished floor ashtray, this ashtray includes an internal flap to conceal cigarette butts and assist in containing the butts in windy areas. The internal flap makes the CA7 Ashtray an excellent Windproof Ashtray. 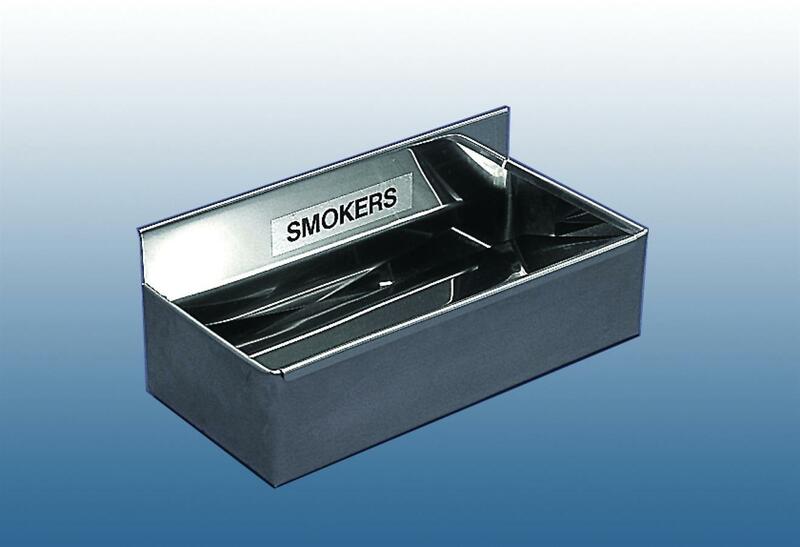 The CA7 Floor Smokers Ashtray is usually available ex stock and will be delivered within 7 working days from placement of order. Some options may affect lead times.